Lenders typically use your 3-digit credit score to help them decide if they'll approve you for a loan or credit card. In general, the higher your score, the better your chances of getting approved. Having a good credit score can also help you save on interest rates. Of course, a specific score doesn’t guarantee that you'll be approved for credit or get the lowest interest rates, but knowing where you stand may help you determine which offers to apply for - or which areas to work on before you apply. How do I find out what my credit scores are? 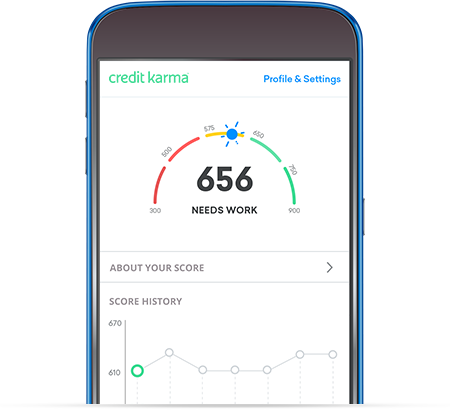 You can get your scores from Equifax and TransUnion for free on Credit Karma. Signing up takes just a couple minutes, and checking your own scores won’t hurt your credit. You’ll also get free credit reports from Equifax and TransUnion. They can be updated as often as once a week, so it’s easy to track your progress. Once you know your scores, check out your Credit Factors to learn what may be impacting them. It's a great way to figure out where you can improve. Ready to see your scores? What else do I get with Credit Karma? 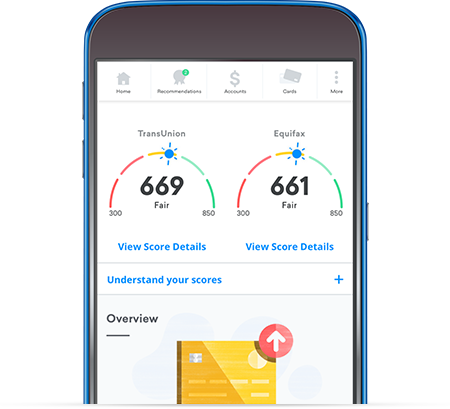 Credit Score Simulator - What could happen to your score if you lower your credit card balances or open a new credit account? Use our Credit Score Simulator to see how certain financial decisions might impact your credit. Direct Dispute™ - Errors on your credit reports can impact your scores. If you see an error on your TransUnion report, you can dispute it right from Credit Karma. 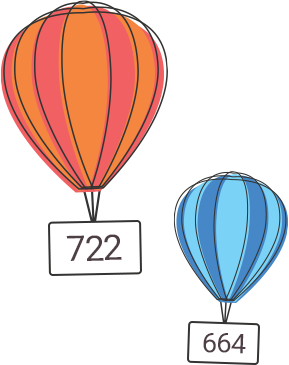 Approval Odds - We estimate how likely you are to be approved for credit cards or loans to help you narrow down your options.